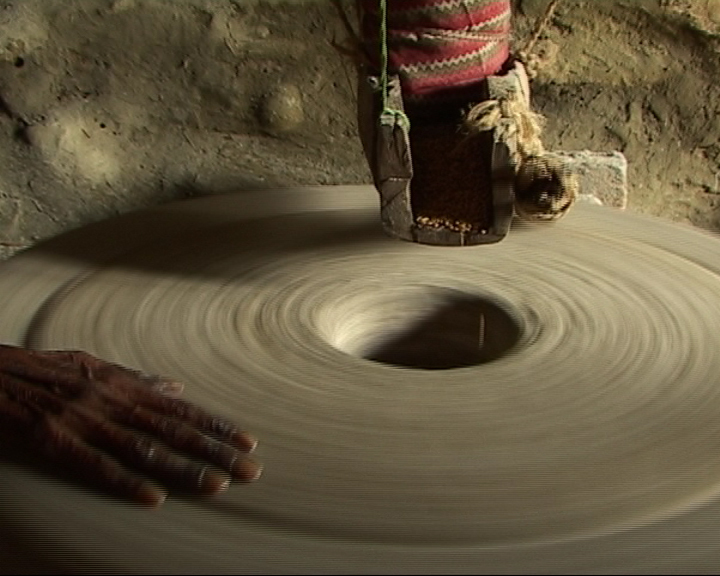 Gharat is a film about decentralized sustainable development. "Today, mountain resources are being controlled by the city, water is converted into electricity for city dwellers where as villages close to the hydroelectric projects are submerged in darkness?" says Dr. Anil Joshi, founder of HESCO. He believes that the Gharats/Watermills could truly be a vehicle for overall development without any ecological hazards as associated with bigger dams. The film problemtizes the larger developmental issues that plague the Garwhal Himalayas with the onset of building big dams like Tehri Hydro Project. These paradigms are cast against the background of Tau upgrading his Gharat, which brings electricity to his house for the first time! The Mountain Grant program of The Banff Center, supported by Mountain HardWear---Canada.